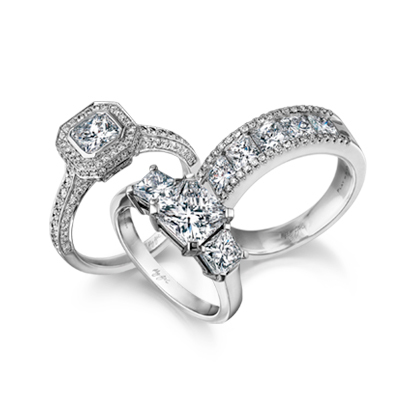 The My Girl overlap ring shown has been channel set with five My Girl diamonds weighing 0.15ct in total. This diamond ring is available to order in platinum, 18K white, yellow or rose gold; and can be especially created based on your specifications with hand-selected My Girl diamonds exclusive to Shimansky. This design is perfect for the woman who wants a unique design with a twist. 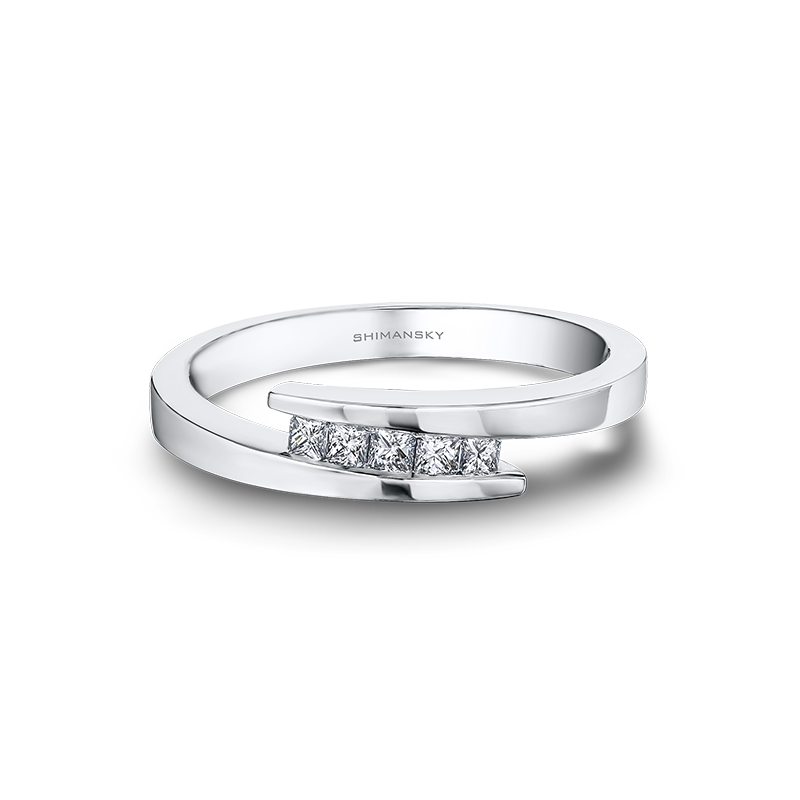 Modern and contemporary, the bold lines and structural design gives it a unique shape that sets it apart from other diamond rings. The My Girl diamond was the first diamond cut to originate in South Africa, making it special not only to Shimansky, but also to the South African diamond industry. The perfect balance of fire, brilliance and scintillation, this square cut diamond has a unique diamond-shaped table. 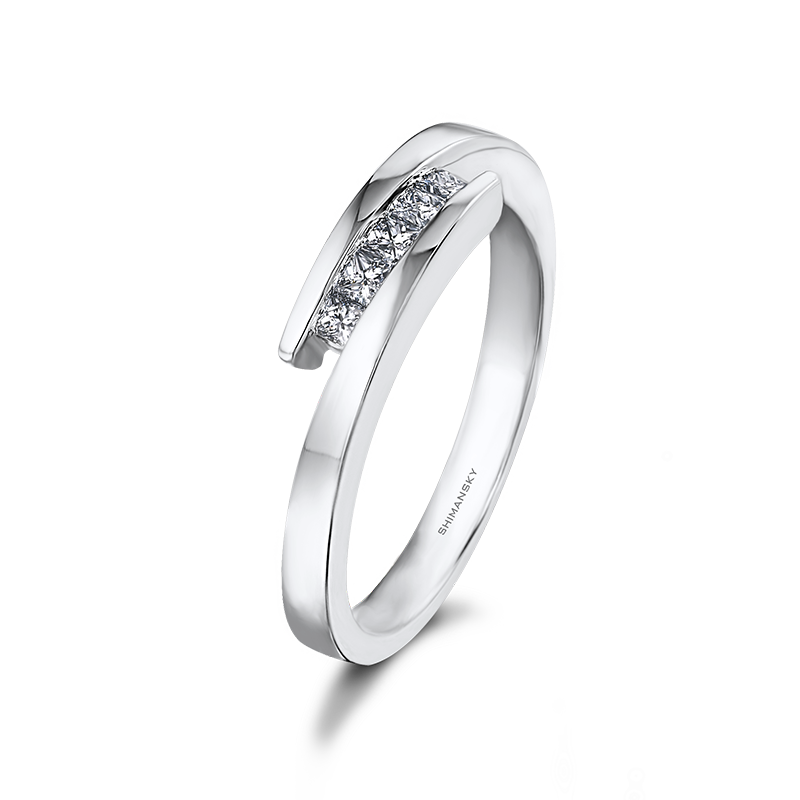 A magnificent testimony of your love, this unique ring's contemporary design is in a league of its own.